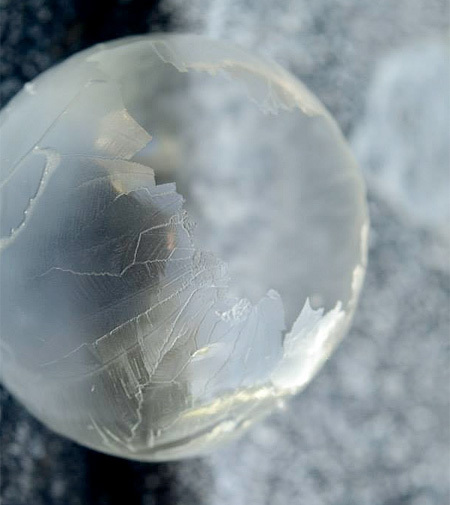 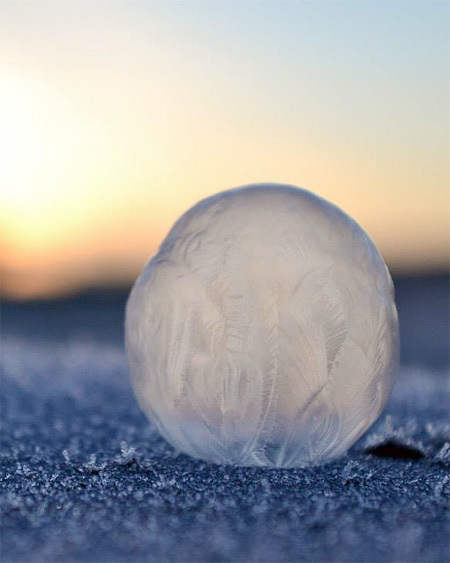 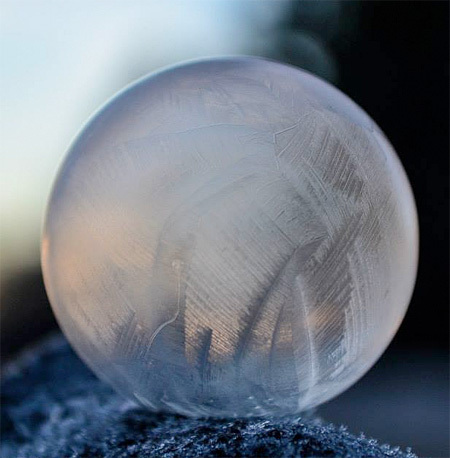 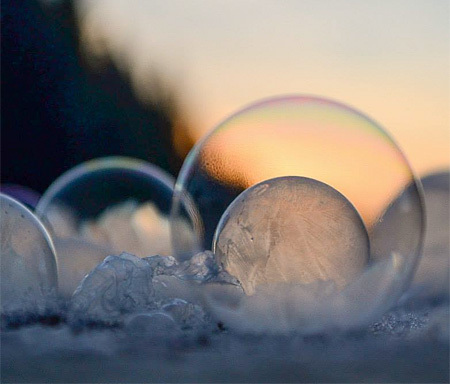 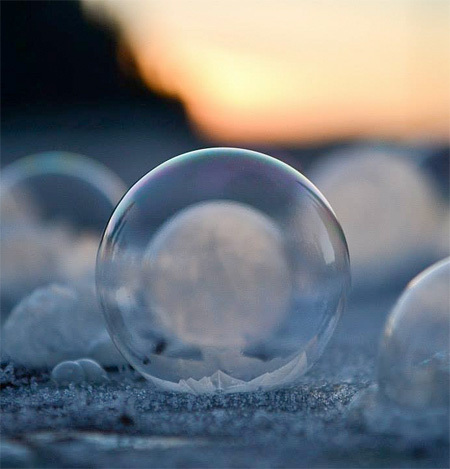 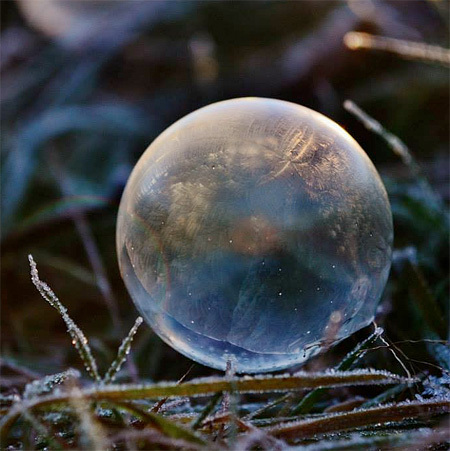 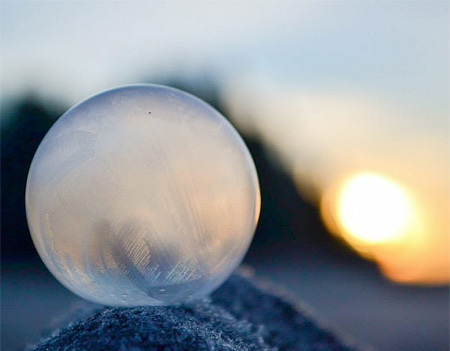 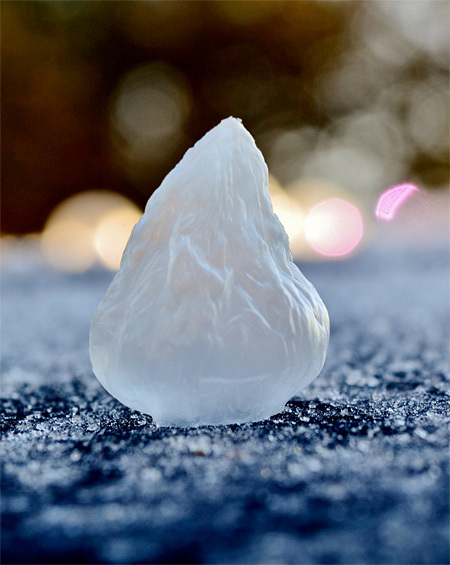 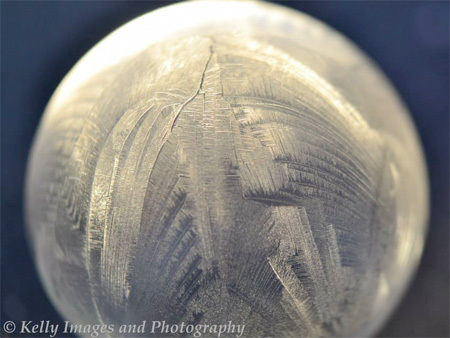 Beautiful photos of frozen bubbles captured by talented Washington based photographer Angela Kelly. 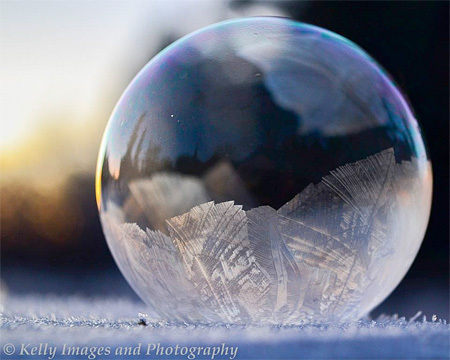 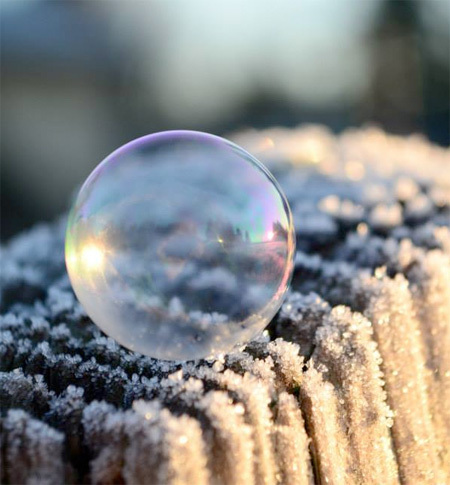 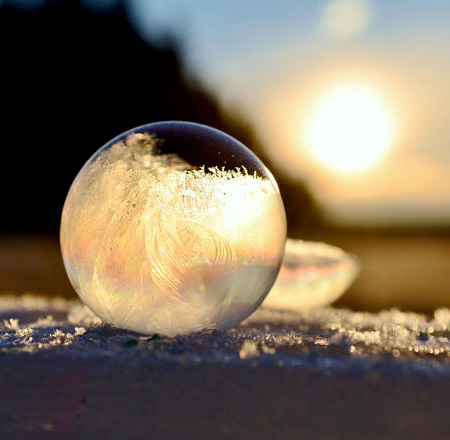 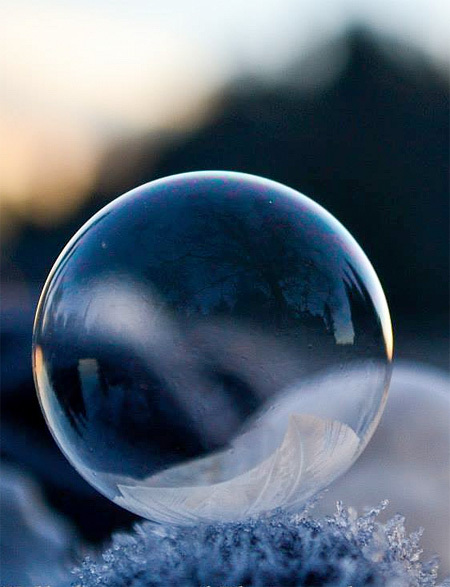 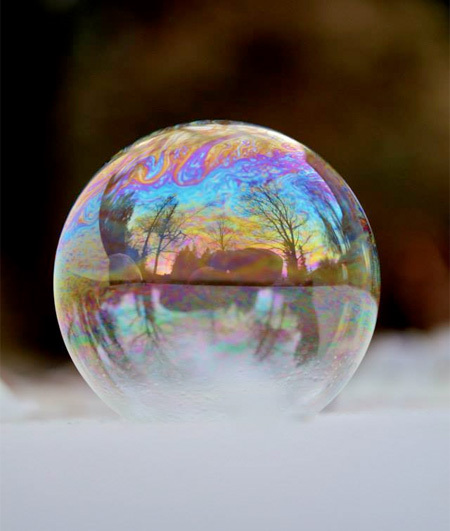 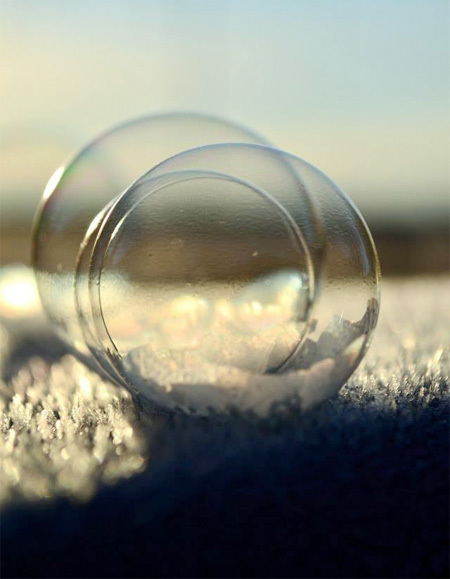 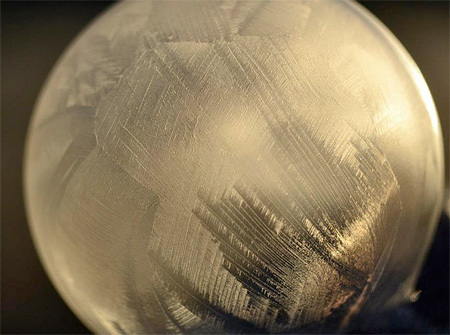 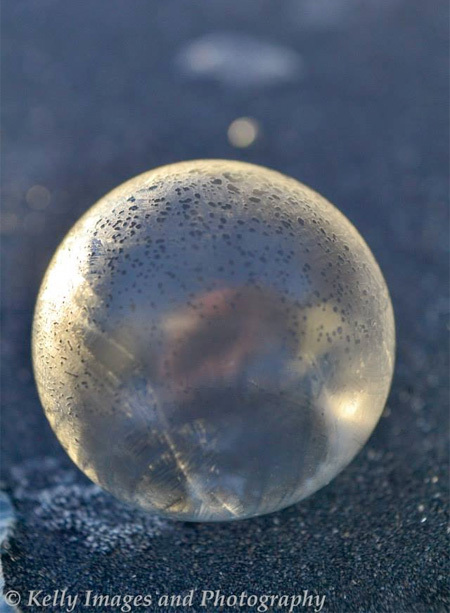 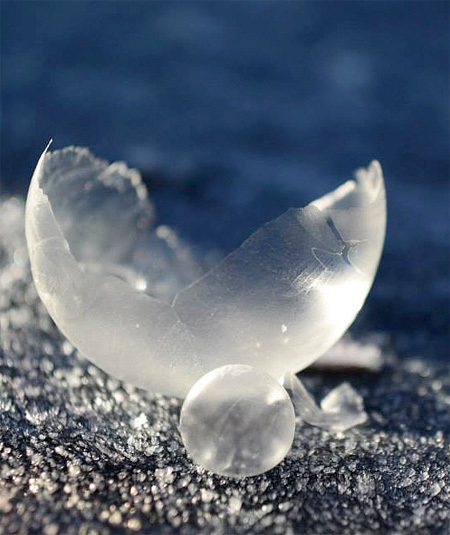 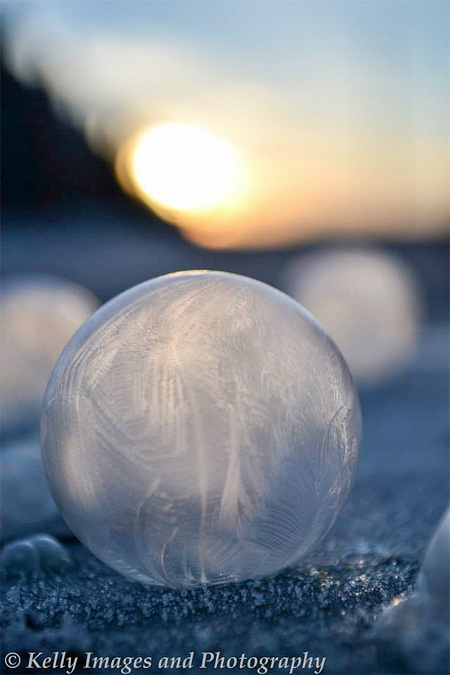 Soap Bubbles were frozen by cold weather and then melted by the sun. 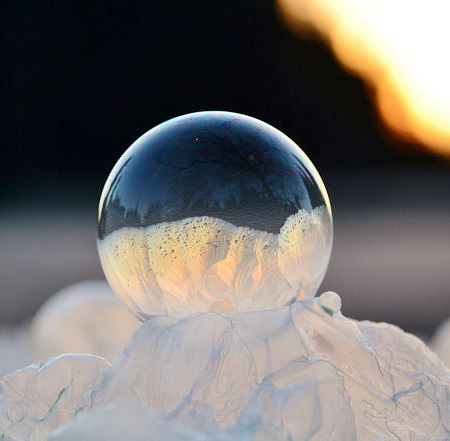 Half frozen / half melted bubbles were photographed during sunrise. 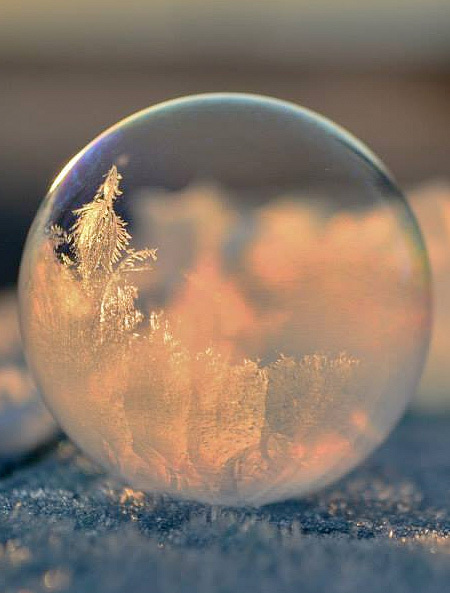 If you are brave enough to blow soap bubbles during winter, you can try to make your own frozen bubbles and take creative photos.